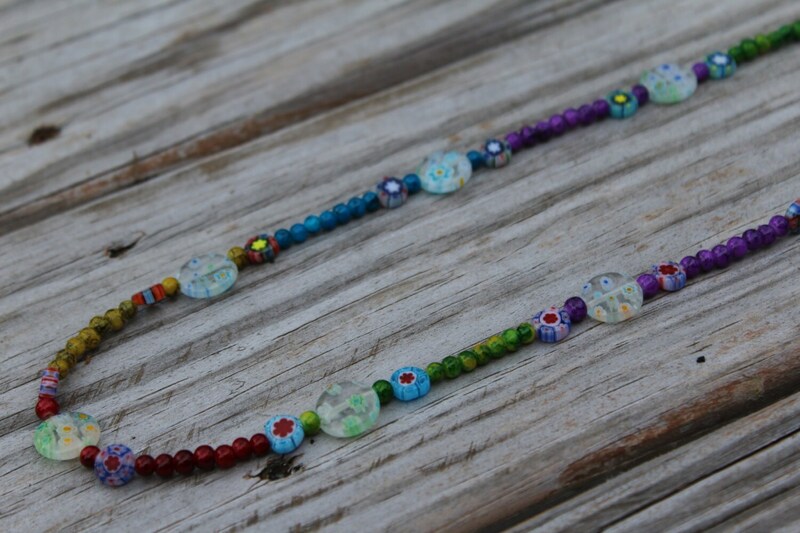 Like the colors of the rainbow, this eyeglass chain will bring a smile to everyone who sees you wear it! It is bold and bright and will make wearing glasses fun! Young eyeglass wearers will love this! 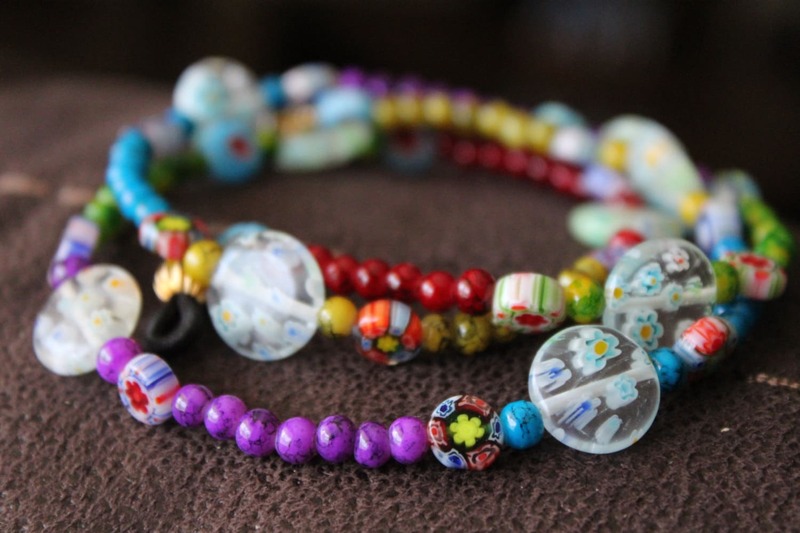 Due to the nature of handmade beads, no two chains will be exactly alike. 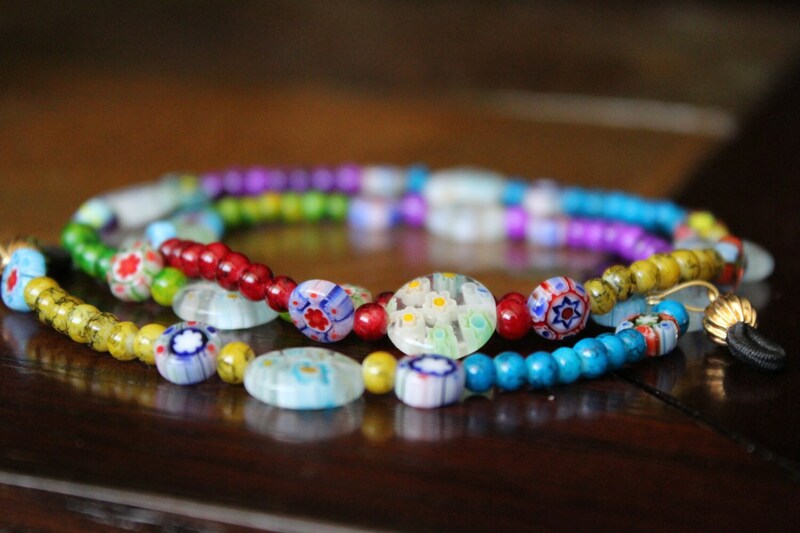 Notice the wonderful detail in the coin shaped Millefiori beads! Small coin shape bead order/colors may vary. This entire chain is approximately 26 inches or 28 inches long. You can choose your preference at checkout. 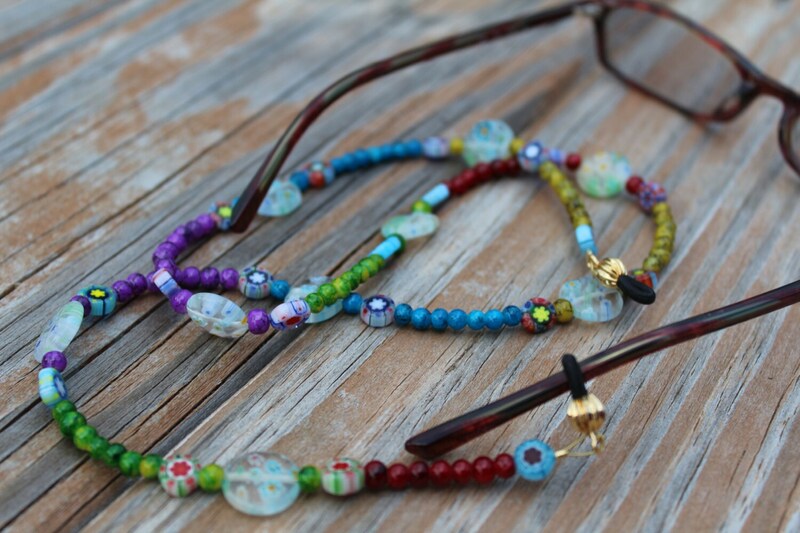 Please Note: This eyeglass chain could be a choking hazard for young children. It is not intended for anyone under 13 years old. Goes with everything and all my glasses. If only I could give a hundred stars, I would. 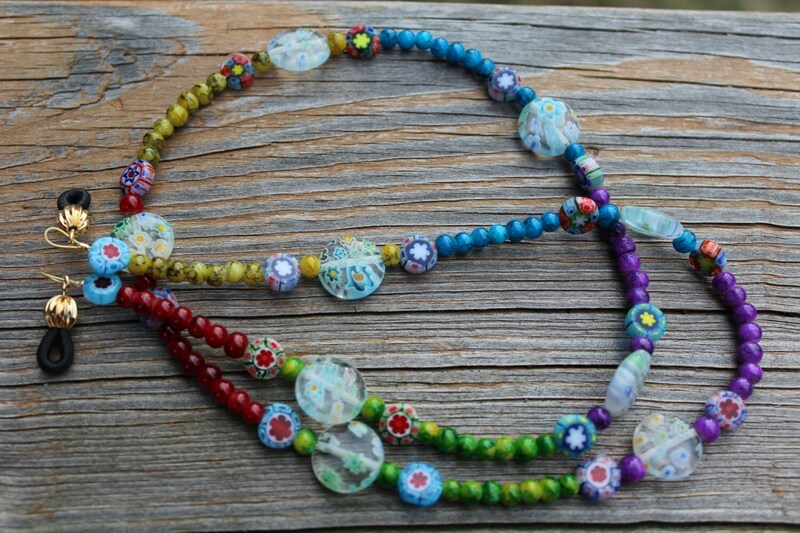 I thought the picture of this eyeglass chain was pretty and different than others I have seen. I just received my order and cannot possibly describe how wonderfully surprised I am at the beauty of this chain. I will definitely buy again. Thank you for creating a much loved piece of jewelry for my spectacles.